Browse our huge range of Walkers crisps, the national favourite that's perfect for alleviating those hunger pangs throughout the day. Zepbrook offers a wide variety of Walkers flavours including Ready Salted, Cheese & Onion, Salt & Vinegar and Prawn Cocktail alongside favourites such as Quavers and Wotsits. 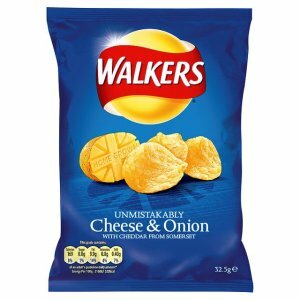 Do you need Walkers products that is not currently listed on this page? Contact us - we can source and deliver many other products for a competitive price. Get your Zepbrook order tomorrow: order before 5pm if you’re in London (or the M25 area). Call us now on 020 8752 0110 or enquire online. 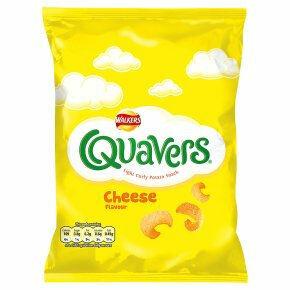 Walkers Cheese and Onion flavour crisps are made with real Chedder produced in the Blackdown Hills, the Mendip Hills , the Quantoc Hills and the Somerset Levels to give that real mature Chedder cheese flavour. Walkers Prawn Cocktail crisps use tomatoes grown in the Vale of Evesham which is in the flood plain of the River Avon. These tasty tomatoes go straight from the vine and straight into the crisps. Crunchy, melty and so pleasingly cheesy! Some twister than others and some wrap around your tongue, no two are the same! 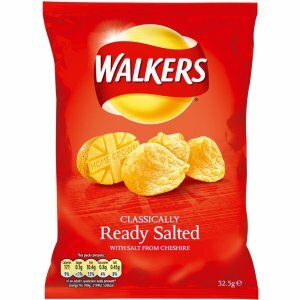 Walkers use salt from Cheshire for its Ready Salted crisps. The salt was actually produced over 220 million years ago and tastes amazing. 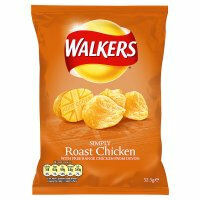 Walkers Roast Chicken flavour crisps use free range chickens raised in devon to make the perfect Roast Chicken flavour. Walkers Salt and Vinegar crisps use real British vinegar to produce the real delicious taste of vinegar. Walkers Smokey Bacon crisps use the tastiest pork all of which are “Freedom Food” classified. Walkers produce their own Worcester Sauce from a modified recipe that came from India in the 1880’s. Walkers have added molasses and tamarind for the perfect flavoured crisp. Are you a cruncher or a melter? Do you like to nibble each Wotsit? Or let it gently dissolve in your mouth? 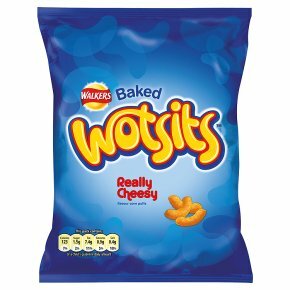 Or maybe you like living life on the edge... start off with melting, and then take a Bite and however you snaffle a Wotsit, it's always deliciously cheesy.